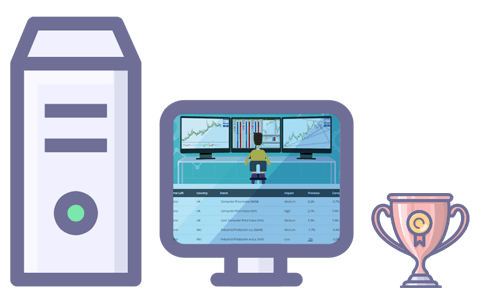 The Forex Station story started when a former investment banker teamed up with a well-renowned coder to begin a small trading website on the internet. At the time, the website formerly known as Forex-TSD was where they both met. And Forex-TSD was their “home” away from home but it was on the brink of closing down. And with an uncertain future ahead they decided to continue Forex-TSD’s legacy by starting Forex Station. Hundreds of Forex-TSD's members were supportive of the idea and joined in to contribute in the making of Forex Station. Familiar legends amongst the Forex-TSD community like Mntiwana, Mrtools and Mladen carried over their expertise and built Forex Station from the ground up. Till this day those original Forex-TSD members who helped build Forex Station still continue to contribute, code, manage and share all of their knowledge for free with traders on the Forex Station forum. Forex Station was built with you in mind. Wether you're new to trading or a full-time veteran we aim to provide you with the best free forex content on the internet. Built by a family of successful traders and coders, it’s a business with a passion for serving you, the trader, to succeed through our free innovative and Daily Posted non-repainting technical indicators, an accurate count-down style Economic Calendar plus free, complimentary, and paid MQL4 & MQL5 coding services for members. That's simple! Forex Station is the World's best forex forum for technical analysis content. We host the highest quality charting tools and offer the largest open database of free non-repainting Forex indicators, EA's & scripts. On top of that, most of our content is actually hand-made and developed in-house by us. At Forex-station.com we pride ourselves in being specialists in our field and we're a close-knit community of traders and coders that are friendly and easy to talk to. The dedicated staff at Forex-station.com will go out of their way to help any one and every one. At Forex-station.com there’s no broker bias here, no egos, no spam or adware. 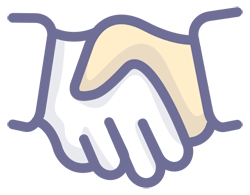 We welcome all, especially new traders to be a part of our growing community with open arms! Just don't forget to read our rules. The mission at Forex Station is to become your one-stop shop for Forex technical indicators, EA's & scripts. We want to serve you with the world's best trading content and provide everyone with a welcoming and friendly trading community to unite all traders so that together we can succeed in what is one of the most hardest yet rewarding markets to trade - the Forex market. We always like to pay tribute to those that have made it possible for us to serve you. As they say "Be thankful for what you are now, and keep fighting for what you want to be tomorrow." With that in mind, here are a list of the guys that have helped us along the way!